Ensuring South Georgia’s biodiversity is protected from invasive species is every visitor’s responsibility, from Government employee to tourist; and remains a strategic priority for GSGSSI. We remain constantly alert to new biosecurity threats and ensure our policies remain up to date and reflect best practice standards. In order to achieve this, each year we undertake an annual review of biosecurity. Between June 2017 and May 2018, 274 biosecurity checks on cargo and baggage were undertaken by Government staff at King Edward Point. Of the 1250 items that were individually inspected during these checks, biosecurity risks were detected on just 6 or ½ a percent. Of those 6 failures, only 3 were live organisms, with the other 3 being dead invertebrates. This represents an increased inspection effort, and decreased ‘failure’ rate than last year. Government staff also made an unprecedented effort to check cruise ship passenger’s boots, clothes and bags for biosecurity risks. Of over 10,000 passengers more than half were checked. 7% of passengers had some soil or organic material on their footwear, and 4% had soil or organic material on their clothing or bags. In all cases, extra cleaning and remedial action was undertaken before going ashore. In May 2018, the South Georgia Heritage Trust declared the Island rodent-free following the successful and ambitious rodent eradication project. To maintain this legacy, and keep South Georgia rodent-free, the GSGSSI worked with Working Dogs for Conservation to undertake a trial using biosecurity rodent detector dogs to ensure South Georgia-bound vessels were free from rodents. The trial was a great success, and we are exploring options to collaborate with partners to turn the trial into a long term biosecurity detector dog programme. 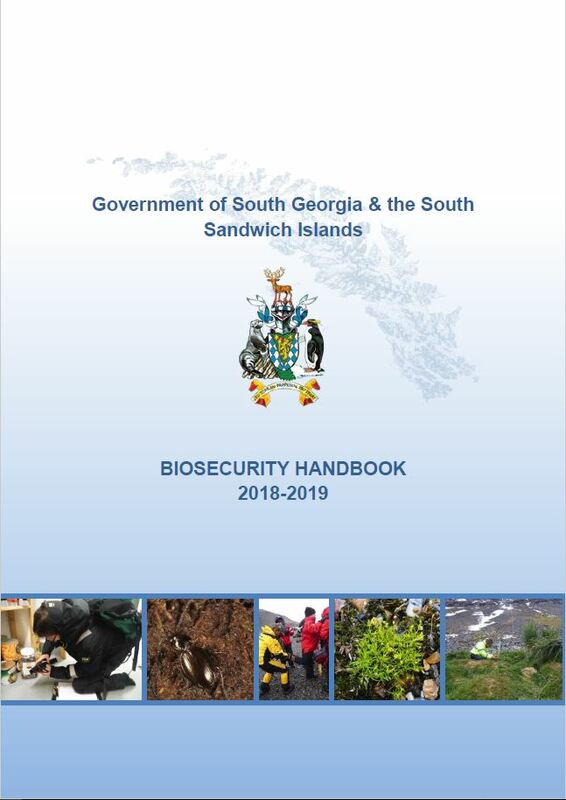 A biosecurity audit conducted by the GB Non-Native Species Secretariat recognised the high standards of biosecurity on South Georgia and helped identify areas where we can work with stakeholders to further enhance the protection of South Georgia’s biodiversity. The full report is available here.